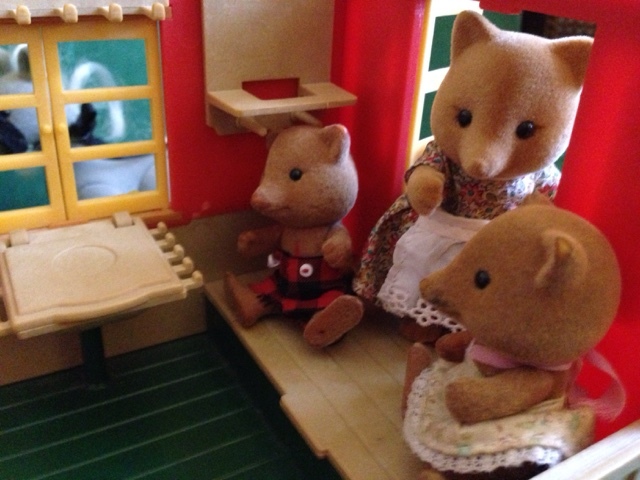 The Slydales were tired of being constantly in the big city, and decided it was time for a change! Slick was a school teacher and had to deal with a lot of stress that came from working in a big city school. 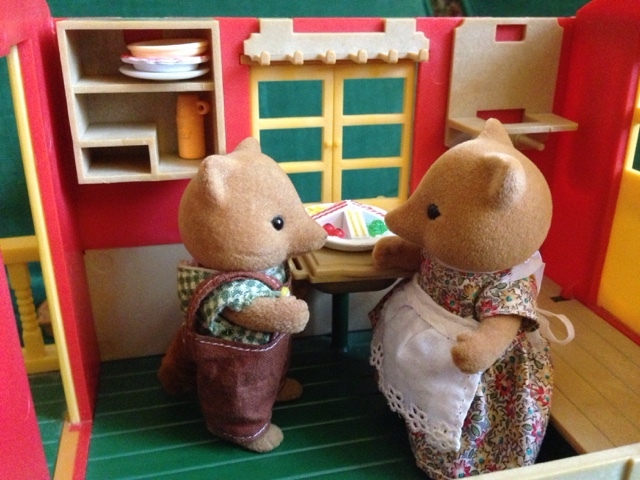 The next school holidays were coming soon, Slick and his wife Velvet had a brilliant idea! They would go camping and get away from the city! Their good friends the Underwood family lived in a caravan and wrote to them often about the joys of travelling the countryside. 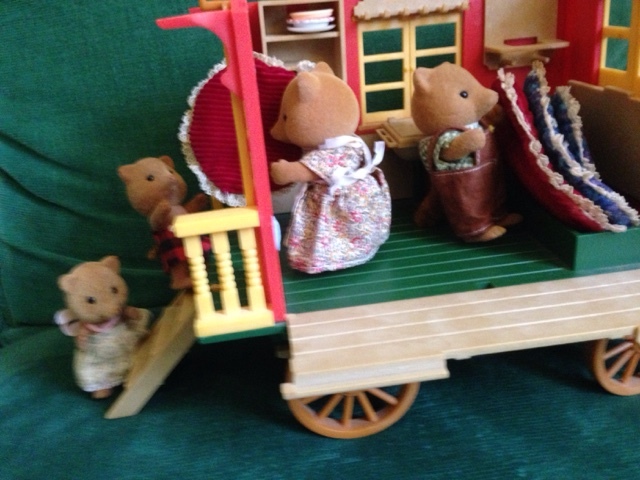 Velvet had been born in the country and had missed it for years, and now they had saved enough money to buy their own little wagon and go for a trip! When they told their kids, Buster & Scarlett, they also were greatly excited and could barely wait! Today was the day! They left early in the morning, and the kids slept for a large part of the travelling. Finally after hours of travelling they reached a quiet, green valley surrounded by lush hills, that theUnderwoods had told them about. 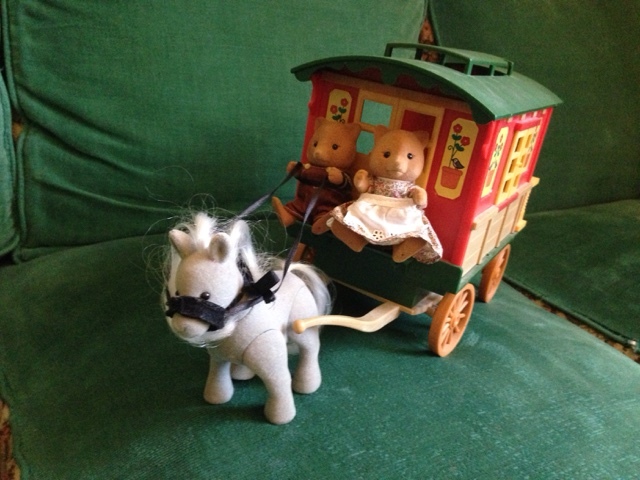 Slick unhitched Bramble the grey gypsy pony they had bought with the cart & Velvet set about making dinner & sent the children out to find a good picnic spot. "I'm glad we decided to come here, it's so quiet & peaceful. I can feel myself relaxing already." 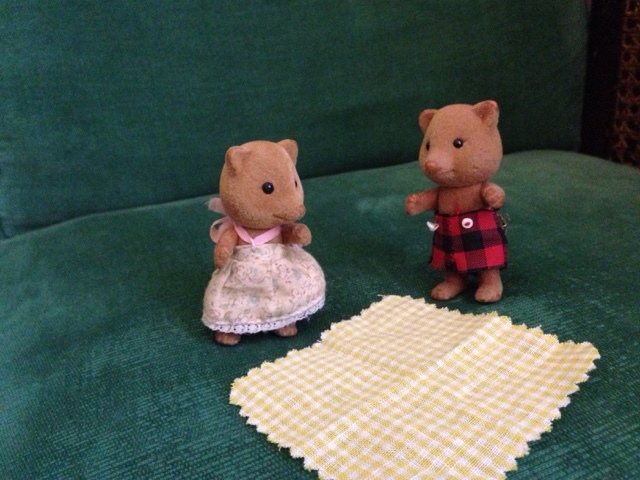 Then Slick took the plates out the spot where Buster & Scarlett had set up the picnic blanket. Velvet then came over with the food and they all had a lovely dinner surrounded by the peaceful countryside, with Bramble the pony occasionally coming over to see what they were doing. 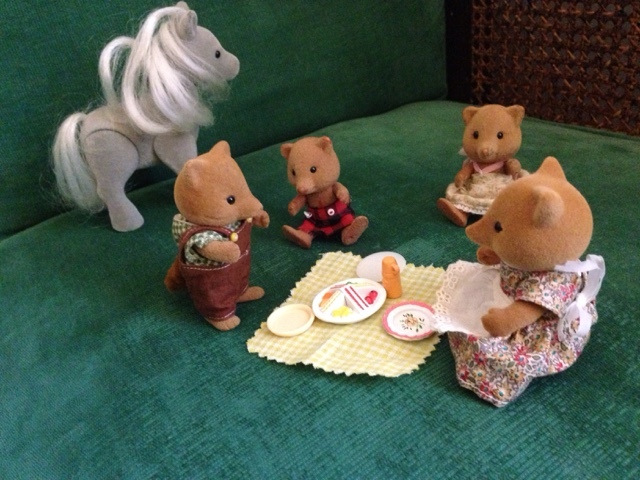 "What are we going to do with Bramble while we are sleeping tonight?" 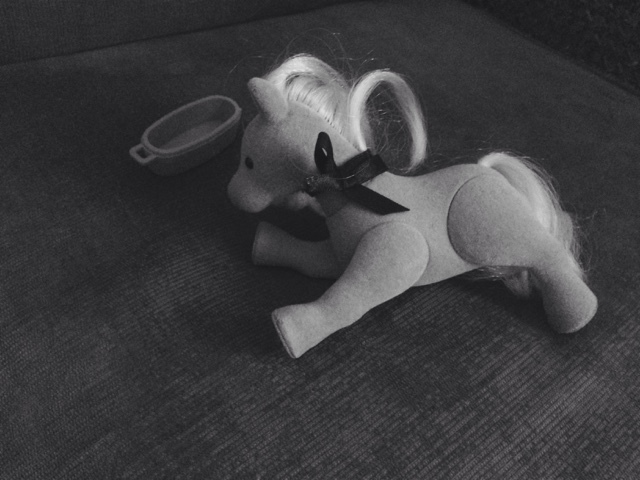 Asked Scarlett (the thought of losing the pony she had longed for was unbearable to her). Velvet smiled, " I asked his owner if he was campsite trained, & they assured me he won't wander very far from where his oats & apples are kept! So as long as we keep those in the cart he will stay nearby." 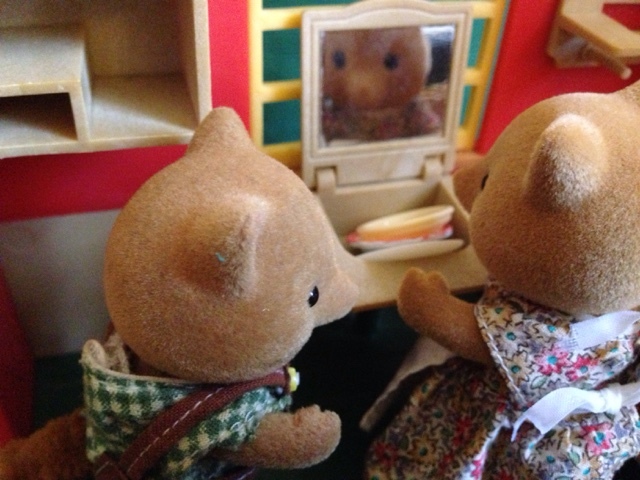 Slick & Velvet then headed back to clean the dishes and discuss how long they could stay in the quiet Hollow. Soon it was getting dark and time to set up the camp beds. They decided since it was such lovely clear, mild evening that they would sleep under the stars for their first night camping. The kids were so excited, there were so many more stars visible than in the city, even before the sun had fully set! 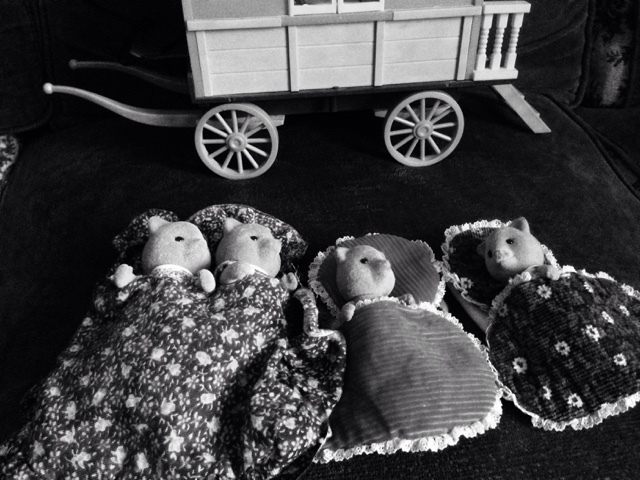 Before long it was dark and they all drifted into a deep, relaxing sleep. Including Brambles the pony. Very cute! I love how you turned the picture to black and white to make the appearance of it being dark. Very great idea!